LMU Transcript and Document Verification Application Guide and Procedure. If you are searching for ‘LMU Transcript and Document Verification Guide‘ This page is all you need. Explore. 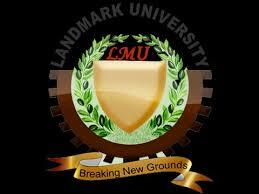 This is a comprehensive guide on how to apply for Landmark University, Omu-Aran, LMU Transcript and Document Verification Online. Interested applicant should follow the lead below for successful application. LMU Transcripts & Document Verification Process. How to Apply for LMU Transcript/Document Verification. The only approved courier service by the university management is universal parcel service (ups) and payment is made online automatic. Patronage of any other courier service is at the risk of the patron.